Honor 7S was the recent release by Honor which is a budget smartphone. 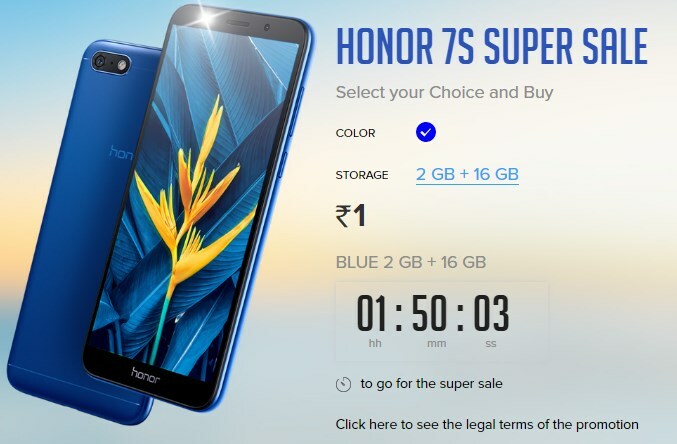 Honor is back with their flash sale, today one will be able to buy Honor 7S smartphone at just Re.1. Register now and test your luck on buying at just Re.1. Kabhi bhi aaj tak kisi ko Rs 1. Me mobile mila to h kya?